Being able to view the road and your surroundings is important. If you don’t have a clear view, you could end up being involved in a terrible accident. 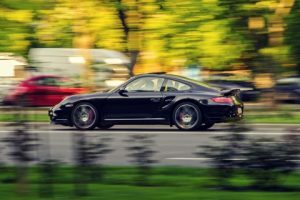 Obviously, we want you to stay as safe as possible while out on the road, which is why the Porsche service experts at Avalon Motorsports encourages you to clean your car’s auto glass frequently. However, everyone knows how to effectively clean the glass of their car’s windows. But what about the chipping, pitting and etching that create distractions and an obstruction of view? Below is a list of the most common types of glass that are found in vehicles today that could fall victim to obstructions while driving. Glass serum creates an even surface by filling jagged edges of the glass for optimum resistance against scratches. Unprotected glass is jagged with uneven edges. It is much more vulnerable to chipping, etching, scratching and pitting. Glass Waxx follows jagged edges of glass for much more extreme hydrophobicity. If you’re searching for a glass that repels water, make sure it has hydrophobic protection. This type of protection resists water by pushing it off in the form of water beads. Scientifically speaking, hydrophobic refers to the interactions between two or more molecules. The interaction we see is the water beading. 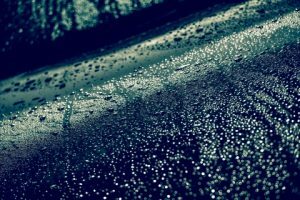 When driving in heavy rain, the hydrophobic protection on your windshield and other windows within your Porsche can help to prevent any obstructions rain would otherwise create. When you have hydrophobic protection on your windshield you can expect the rain to not stick, but to roll off easily. It’s a very valuable piece of protection to your windshield if you live in a rainy or unpredictable climate, such as Denver. Scratch resistant protection is just what it sounds like: Scratch resistance on your windshield. It make scratching and damage on your windshield much tougher. Dirt chunks, rocks and other types of contaminants that are on the roadways will have to use a lot more force if they want to damage your windshield. Scratch resistant protection works to reduce the friction on your windshield, filling the tiny edges and jagged dips that are present in all unprotected windshields and car windows. If you live in a climate that tends to be dusty or rocky, a scratch resistant windshield is highly suggested. Contact Denver’s finest online today! It’s important to understand the type of damage your windshield may endure if you have unprotected autoglass. To learn how our Porsche repair experts here in Denver can help, reach out to us now! We have the expertise, advice and protection you need to keep your Porsche in pristine condition all year round. If you have any questions or concerns regarding the type of glass on your Porsche, feel free to give us a call. We can help you out, even if it’s just giving you some advice!